For over twenty-five years, the wooden gold coloured bleachers were a trademark of the gymnasium at UPEI’s Chi Wan Young Sports Centre. Although they were part of many great teams, games, and celebrations, it was time for a change and what a big change we made! 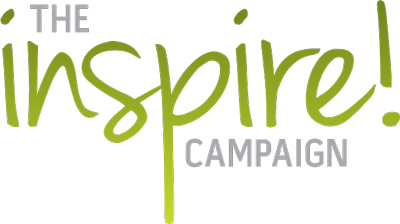 As part of the Inspire! Campaign, in the summer of 2016, the old dated wooden bleachers were removed from and in their place came new forest green stadium seats. A transformed look and significantly improved level of comfort greeted our fans in the fall of 2016. 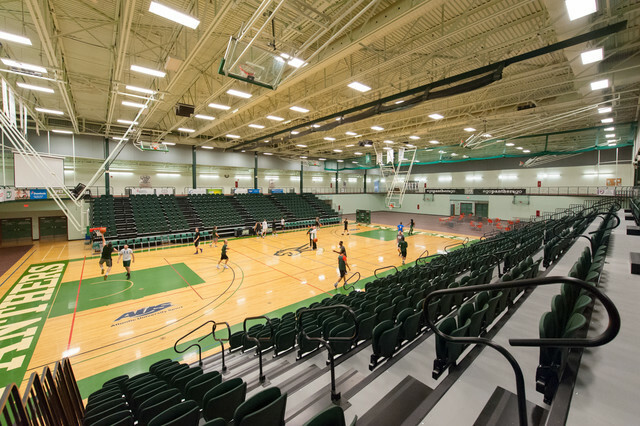 The dark green seats and black stair cases really “Pantherized” the look of the gym, enhancing an already strong sense of Panther Pride. The design of the stadium seating was a highly collaborative and detailed process as we had to ensure maximum capacity for our varsity games and sporting events (during which five sets of bleachers were on each side, facing centre court), and university and high school graduations where seven sets of bleachers would be facing one side. As a result of the varying set ups required to host events, we decided to have all five sets of bleachers on the north side and the three middle sets of bleachers on the south side, permanently fixed to the wall. The two outside sets of bleachers on the south side are portable and can be added to the north side when needed. The new bleachers were given a great test at our men’s and women’s basketball home opening regular season games as we had a capacity crowd. The crowd cheered hard and enjoyed watching in comfort. The outreach of praise from those who have attended events hosted at the Chi Wan Young Sports Centre has been plentiful and positive. We look forward to hosting many more events in the years to come.